Clonidine or Catapres is a centrally acting alpha-agonist hypotensive agent. It is most commonly prepared as a hydrochloride salt for use in tablets and capsules, although it is also supplied in oral liquids, injectable solutions, and transdermal patches. Clonidine stimulates alpha-adrenoceptors in the brain, which reduces the sympathetic outflow from the central nervous system. This decreases the heart rate and relaxes the blood vessels so that blood is allowed to flow more easily. Clonidine is widely prescribed for the treatment of hypertension(abnormally high blood pressure), which can have serious health implications if left untreated. 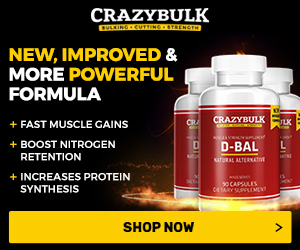 Bodybuilders typically use this drug for the same purpose, namely to counter blood pressure elevations caused by anabolic/androgenic steroid use. Clonidine is also commonly prescribed for off-label purposes including the treatment of alcohol, opiate, and nicotine addiction, menopause symptoms, diabetic diarrhea and neuropathy (nerve damage), and ulcerative colitis. Clinical studies show that clonidine can also produce a significant increase in the serum growth hormone level. This occurs via stimulation of hypothalamic GHRH (Growth Hormone Releasing Hormone) release, which in turn supports the secretion of growth hormone from the pituitary.745 Given the known anabolic properties of growth hormone, clonidine is sometimes specifically chosen by bodybuilders (when a blood pressure medication is needed)because of its perceived added metabolic benefits. Realistically, however, this drug is rarely reported to produce performance or body composition improvements. This may be due to its effects on GH being short lived. Studies suggest that in many patients, clonidine will not result in sustained increases in GH with continued daily use.746 747 The prescribing literature even warns that its elevating properties are acute, and do not result in chronic elevations with long-term use. Clonidine may be of value for blood pressure management or other off-label purposes, but at the present time it is not widely accepted as a stimulating drug for bodybuilders. Oral clonidine is considered a fast acting medication. Its Blood pressure lowering effects are typically noticed within 30 to 60 minutes after ingestion. Peak blood levels are achieved within 3-5 hours after administration, and the drug is metabolized with a half-life of approximately 12-16 hours. Given the short-acting nature of the drug, clonidine is usually administered at least twice per day in order to maintain therapeutically effective blood levels. Food does not appear to influence the pharmacokinetics of clonidine. Must Read: Fast And Slow Acting Steroids: What’s The Difference? The absorption of clonidine from transdermal patches may be significantly delayed in comparison to oral tablets and may take 2-3 days before peak blood levels are achieved. Tolerance to the blood pressure lowering effects of clonidine may develop over time. It may be necessary to periodically reevaluate the dosage during prolonged therapy. Clonidine May be used alone, but is also commonly combined with a second antihypertensive agent when a stronger blood pressure lowering effect is required. for the treatment of hypertension. 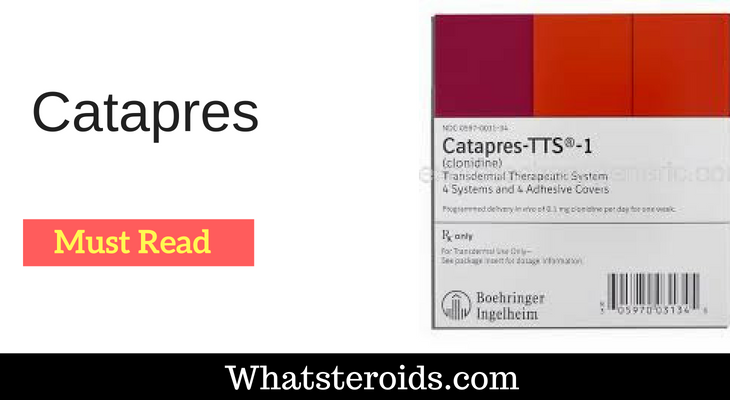 The most widely known trade name for clonidine is Catapres, sold in many different countries by the international pharmaceutical manufacturer Boehringer-Ingelheim. In the United States, clonidine products are also available through many generic drug manufacturers including Actavis, Bertek, Global, Mutual, Mylan, Par, Qualitest, UDL Laboratories, Unichem, and Xanodyne. 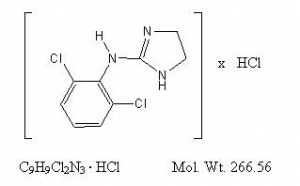 Clonidine hydrochloride is most commonly supplied in oral tablets of 0.1, 0.2, and 0.3 mg each. Clonidine is an alpha-agonist hypotensive agent derived Clonidine is an alpha-agonist hypotensive agent derived from imidazoline. It has the chemical designation 2,6-dichloro-N-2-imidazolidinyl done benzenamine. Abrupt discontinuation of clonidine may result in side effects including rebound hypertension, nervousness, agitation, headache, and/or tremor. In rare instances, clonidine withdrawal has been associated with the serious cerebrovascular accident and even death. Patients should not discontinue clonidine treatment without consulting their physician. When discontinuing clonidine, it is usually advised to slowly reduce the dosage over a minimum period of 2-4 days to reduce withdrawal symptoms. 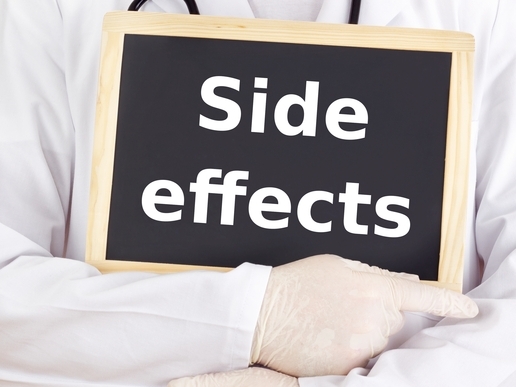 Common side effects associated with clonidine treatment include dry mouth (40% of patients during clinical studies), drowsiness (33%), dizziness (16%), constipation (10%), and sedation (10%). Less frequent adverse reactions include physical fatigue, fever, increased sensitivity to alcohol, abnormal heartbeat, congestive heart failure, delirium, insomnia, nightmares, paraesthesia (tingling of the skin), hair loss, rash, abdominal pain, anorexia, hepatitis, vomiting,decreased libido, erectile dysfunction, frequent waking to urinate during the night (nocturia), leg cramps, muscle pain,blurred vision, and dryness or burning of the eyes. Some side effects appear to be dose-dependent. Taking more than the prescribed amount (overdosage) may result in serious adverse reactions including hypotension (low blood pressure), respiratory depression, impaired motor reflexes, weakness, drowsiness, hypothermia, heart irregularities, coma or death. When used medically to treat hypertension, the dosage must be tailored to the individual needs of the patient. The usual initial starting dosage in adults is .1 mg given twice daily, morning and evening (.2 mg per day). This dosage may be increased once per week by .1 mg/day until the proper maintenance dosage is achieved. An effective therapeutic maintenance dosage usually rests between .2 mg and .6 mg per day, although a small percentage of patients required significantly higher amounts (2.4 mg/day is considered the maximum therapeutic dosage). When used by bodybuilders to offset elevated blood pressure due to anabolic/androgenic steroid use, therapeutic use guidelines are usually followed. Some users will initiate clonidine at sub-therapeutic dosages (.1 mg per day) if they are unsure of their responsiveness to the drug, or their relative need for a hypotensive agent. Individuals should be reminded that it is important to monitor blood pressure closely whenever taking any medications that can have hypertensive or hypotensive effects. Clonidine is widely sold throughout the developed world. Low demand, low cost, and high availability make this drug a low-profit target for counterfeiting. Counterfeits are unlikely to be a significant problem.